Another song in the country tradition of wordplay, like the great Roger Miller who wrote The Last Word in Lonesome is Me. And the remarkable line, My Daddy was a pistol, I'm a son of a gun. 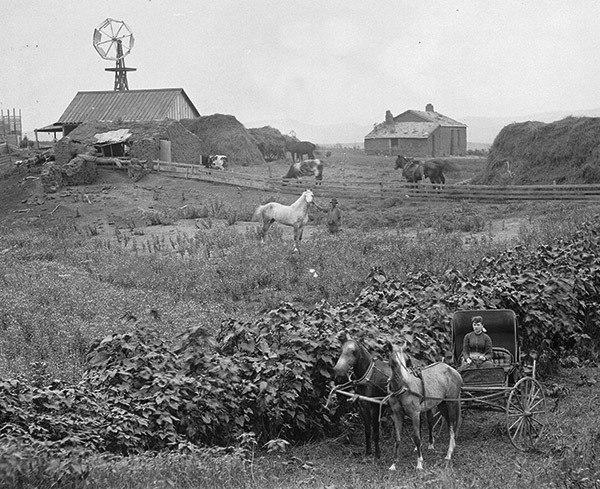 The photo, from the Library of Congress, is a favorite of mine, showing the rough life of the farm and a woman on her journey away from the farm. And there she is out standing, in her field. They say she was was outstanding in her field. Let you be outstanding in your field. They say she was outstanding in her field. Now we see you out standing in your field.